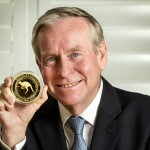 The hero diamonds from the recent Argyle tender. Rio Tinto has broken records at a recent tender of Argyle Pink Diamonds. The tender featured 63 rare pink, red and violet diamonds from the Argyle mine in the Kimberley, Western Australia, including six hero diamonds named Magnificent Argyle. Its hero diamonds were named Argyle Muse, Argyle Alpha, Argyle Alchemy (a Fancy Dark-Grey Violet), Argyle Mira, Argyle Odyssey and Argyle Maestro. Two of the hero diamonds achieved records at the tender. The Fancy Purplish Red Argyle Muse sold to an undisclosed buyer; a 2.28-carat (ct) oval, it is the most valuable diamond ever featured in the Argyle tender in its 34-year history. Another, the 3.14ct Fancy Vivid Purplish Pink called the Argyle Alpha, is the largest and most valuable diamond of its type sold at the Argyle tender. 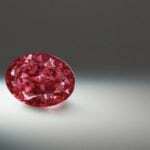 Singaporean company Glajz THG, a partner of Argyle Pink Diamonds, placed the winning bid. 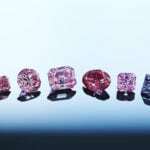 Bidder Matthew Aldridge, winner of several diamonds in the tender including the 2.08ct Argyle Odyssey Fancy Intense Pink, said he continued to be amazed by the “magnificent potency of colour of these unique diamonds from this extraordinary mine”. “The 2018 Argyle Pink Diamonds Tender was highly sought after with record results that underscore the value of these gems in the history of rare coloured diamonds,” said Rio Tinto copper and diamonds chief executive Arnaud Soirat. The mine is expected to remain in production until 2020.